Evening gown? Check. Shoes? Check. Accessories? Check. After weeks of dress fittings and styling sessions, you’re down to getting your skin prepped so that you're looking your best when it’s time to walk down the red carpet. To help you get ready for the big night, we’ve asked the Aivee Clinic team to weigh in on which appointments you need to book stat for quick fixes that require no downtime. The Hollywood Facial is one of the most popular facial treatments there is—and for good reason! It packs a one-two punch to tired skin. The process involves the use of a magnetic black mask that not only hydrates the skin but also creates a soft, smooth, nourished, red-carpet ready glow. The magnetic black mask is made from all-natural volcanic clay from Montecatini Terme in Tuscany, known for its exceptional clay therapy. The clay has a unique feature that keeps it from drying, and is also rich in essential minerals for the skin. It captures the dirt and impurities while leaving behind a veil of moisturizing serum, keeping the skin hydrated. The mineral-rich clay is also infused with key ingredients that boost the translucency of skin. Xeomin, which is injected into facial muscle, temporarily improves moderate to severe lines and wrinkles, particularly those on the forehead, the area between the brows, and the outer corners of your eyes. Manufactured in Germany by Merz Pharmaceuticals, the Xeomin injectable is stripped of the complex proteins that can cause the body to create neutralising antibodies. Thanks to its concentration, Xeomin’s results are visible by the second day post-treatment and last between three to four months. 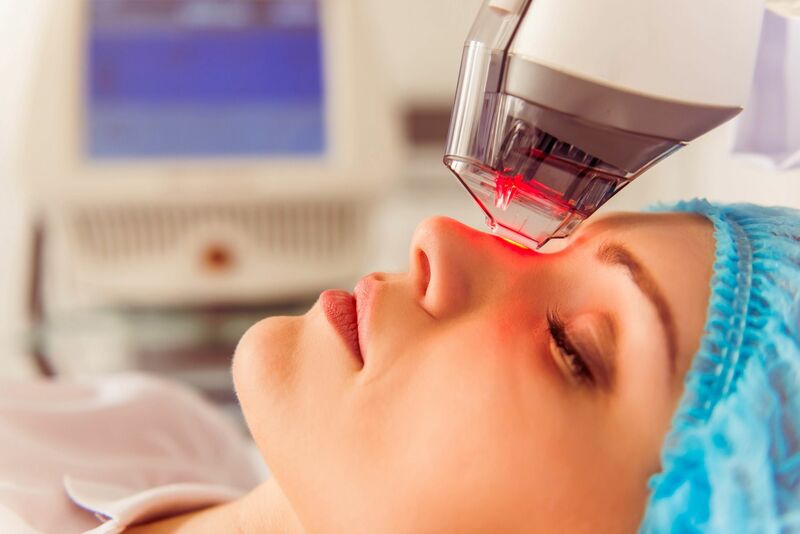 Most laser treatments require long recovery periods, but now there’s Gentle Laser Pore treatment that only takes 20-30 minutes and requires no downtime. GLP works by creating millions of microscopic treatment zones in the upper layers of the skin, which replaces damaged skin with healthy tissue and yields a more supple and bouncy looking skin. It helps prevent and reduce the appearance of enlarged pores—it’s quick and gentle with no needles required! If you are going for a contoured look and would like to restore volume in strategic areas of the face, then the Total Lift is the procedure for you. It uses small amounts of dermal fillers to strategically lift the cheekbones, accentuate the jaw line and diminish the tired hallow appearance under the eyes and around the mouth without discomfort or downtime. It can also add volume around the nasolabial fold adjacent to nose to erase the years from your skin. The newly launched Ice Facial, briefly ‘freezes’ the skin by the use of cryo mist, which activates as a response by increasing collagen production in deeper layers (similar to lasers treatments of the face, where very hot temperatures are used). As a result, the skin regains elasticity and appears much smoother, even-toned, significantly improving conditions such as cellulite and ageing. This luxurious facial begins with the with a cold air infusion delivered into the deep layers of the skin, after which they are treated to a luxurious facial mask to culminate the treatment. Ideal for those who lead busy lives and whose skin needs a little “pick-me-up”.